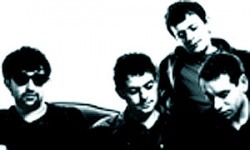 The Lightning Seeds are a band that formed in Liverpool by Ian Broudie. They are best known for their song Three Lions. They formed in 1989 but they were mostly a 90's band. They are still around today. To start with, Broudie was the only member of the group. so obviously, they did not start off as a group. Chris Sharrock - Played the Drums from 1994 - 1997. Martyn Campbell - Played Bass from 1994 - 2000. Ali Kane - Played the Keyboard in the band 1994 - 1996. Paul Hemmings - From 1994 - 1998 he played Guitar in the group. Angie Pollack - Played the Keyboard in the group for 5 years - 1996 - 2000. Mathew Priest - He played the Drums for only 1 year, 1997. Zak Starkey - Zak played Drums from 1997 - 2000. So now Ian Broudie is back on his own. 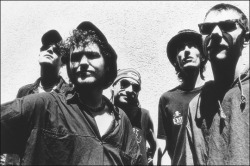 The Levellers are a English group. They were at the Wizard Festival. One of the makers of the website went last year and saw them. They had hits such as One Way, Fifteen Years Ago, What A Beautiful Day and many more. 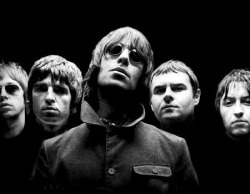 Oasis were a english band. there was 8 members. they had hits such as wonder wall,some might say and morning glory. The Spice Girls were a BRIT award-winning English group. There were 5 members. They split up around about 2008. There hits are Wannabe, Two Become One and many more. 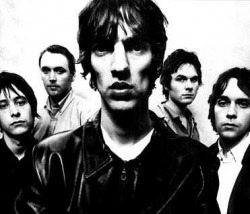 The Verve were a hit pop/rock group. The members were Richard Ashcroft,Nick ,Mccabe,Simon Jones,Peter Salisbury and Simom Tong. They made quite alot of Eps but only made 2 Albums. Their hits Are The Drugs Dont Work ,Rolling People and many more.